A man was killed Monday afternoon in a car crash west of Red Rock Canyon on Blue Diamond Road. 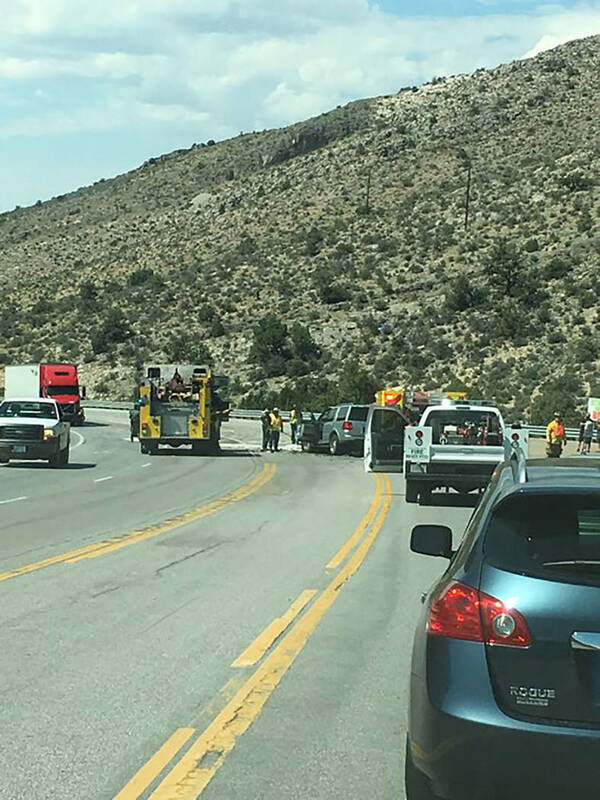 A man was killed Monday afternoon in a car crash west of Red Rock Canyon on Nevada Highway 160, authorities said. The man was driving a white Saturn near Williams Ranch Road, when he collided head-on with an SUV, Nevada Highway Patrol trooper Chelsea Stuenkel said in a statement. The NHP said the Saturn driver, who died at the scene, appeared to be at fault. The man driving the SUV was taken to a Henderson hospital with survivable injuries. The vehicles carried no passengers. The highway reopened in both directions at 6:40 p.m., the Nevada Transportation Department tweeted. Other details of what led to the collision are not immediately clear.